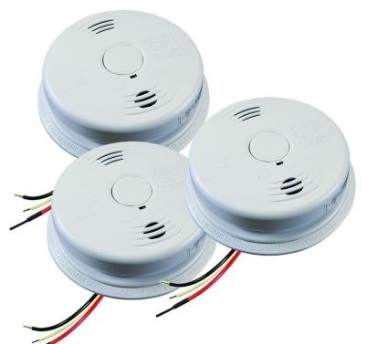 A new house needs inter-linked smoke detectors that are properly designed in. Need to use 14/03 wiring in a continuous dedicated circuit. Note that it needs a red wire which is used as the interconnect. Could use thinner than 14 gauge but it is probably cheaper and easier to use regular 14 household wire.